Call or email us today for all of the details on building and financing your new home…We can make your new home dreams a pleasurable reality! Walter Family Homes has a reputation of building quality homes…Just ask any satisfied WALTER FAMILY HOMES homeowner. It started with a belief that an on-your-lot home building company could be successful by offering its customers a home building concept based on honesty, affordability and quality. Our customers tell us we were right. It has been our privilege to build homes for first-time homebuyers, guiding them through the construction and the financing process, single-parent families, multi-generational families, families that are stepping-up in size and quality and retirees who are down-sizing for less maintenance. We build vacation, coastal and winter homes too. At Walter Family Homes we have a plan to suit every family’s needs. 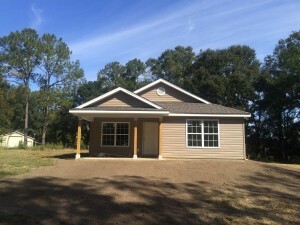 You can choose from over 45 of our site-built plans or customize them to meet your individual needs. Our plans offer an abundance of variety with up to 5 bedrooms and 3 1/2 baths, optional den or in-home office, bonus rooms, mother in law suites and attached garages. You can even bring us your own custom plans and in most cases we can build your dream home. Our Standard Features, which we incorporate into our homes, show the outstanding quality and value that go into every Walter Family Homes home. Ask us for details on all of the energy saving features in our homes that can save you money every month. With the vast number of options that we offer, you are sure to get the home that you have always wanted. Among the other services we offer, Walter Family Homes has an in-house draftsman to make your custom changes; we offer our 100% complete, 92% complete homes and Shell homes for customers that want to do some their own work. We will also assist in meeting your financing needs by finding lenders that can provide the best mortgage loan for you, regardless of your credit situation. At Walter Family Homes our professional sales team is dedicated to helping you plan your new home while our experienced construction staff assures top quality and skilled workmanship go into every home we build. Walter Family Homes is committed to providing you with superior quality building products that are available today, at a price you can afford. If you compare the value of our homes to other new homes, you will surely see the difference. You can rely on Walter Family Homes!